Wondering about the best itinerary for your yachting vacation in Croatia? 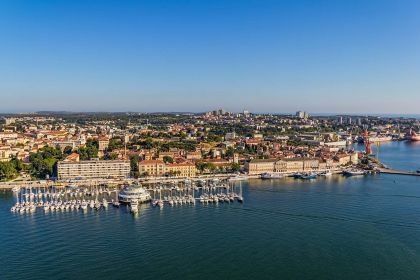 We’ll help you achieve your dream — an idyllic yachting vacation in Pula or any other of Croatia's captivating destinations. You will see the proof of this long history all around you: an amazingly well-preserved Roman amphitheatre, Temple of Augustus, Arco dei Sergi, Gate of Hercules and a glut of more remarkable buildings, monuments and towers. Each evokes and arouses your senses and imagination, even if you are not a history and architecture buff. 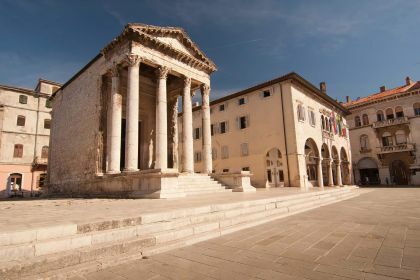 Discover and savour Italy’s influence in Pula’s gastronomic offerings. Try Tivoli, Villa Margerita or Pompei — they are all recommended Italian restaurants serving up mouth-watering traditional cuisine. Farabuto, meanwhile, is famous for its fresh seafood and soups. For traditional Croatian dishes, try Vodnjanka-Trattoria. 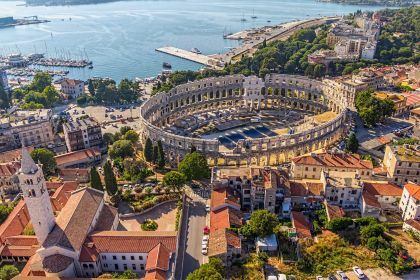 It’s also worth getting a bird’s-eye view of Pula. Delic Air offers flights over the city and surrounding areas, and its pilots have been known to let guests join them in the cockpit and steer the plane — just the thing to enjoy some majestic views from a different perspective. Or how about delving beneath the surface? Diving in the Adriatic Sea will reveal a rich marine life of cuttle-fish, sea horses, urchins, numerous fish species, caves and shipwrecks. The water is astonishingly transparent, so be sure to visit one of the many diving centres or schools that will tailor a lesson or package according to your expertise and preferences. When you are ready to move on from the magic of Pula, there are plenty of islands a stone’s throw away, including the charming Krk and Susak. Wondering about the best itinerary for your yachting vacation in Croatia? Feel free to contact your Abberley charter broker here or call us with any questions you may have. 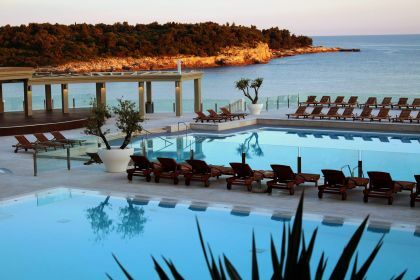 We’ll help you achieve your dream — an idyllic yachting vacation in Pula or any other of Croatia's captivating destinations.